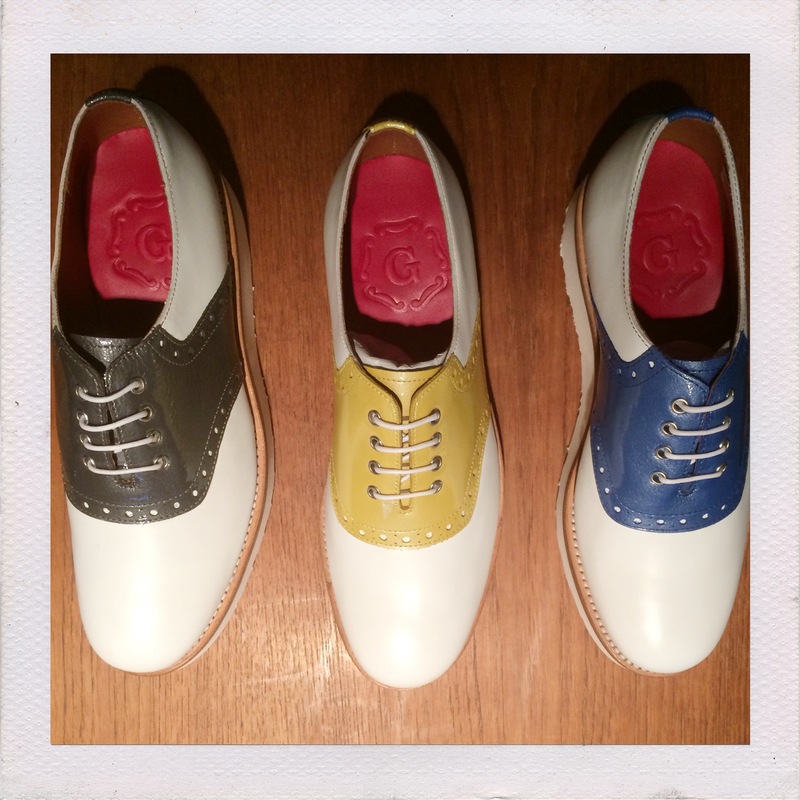 Sneak preview: see next season’s Grenson shoes NOW! It’s a funny old life, working in fashion. Just as everyone else is unpacking their winter woollies and thinking about buying a sturdy pair of new boots, we’re planning what we think you will all be wearing next summer. I know, right?! The good news is that this means I get to have a sneak preview at stuff in plenty of time for you to save up for it, and yesterday, I paid a visit to one of my very favourites, Grenson. If the reaction the picture above got on Instagram yesterday is anything to go by, you lot are going to LOVE the new collection. I know I do; I was virtually salivating over the pair in the middle. There are some old favourites in new colours (like the yellow Emily and Clara styles above) but also lots of totally new ones. Here are my favourites. This is another shoe that has its origins in golf; the removable leather fringe (called a kiltie) is there to protect the laces from the wet grass. 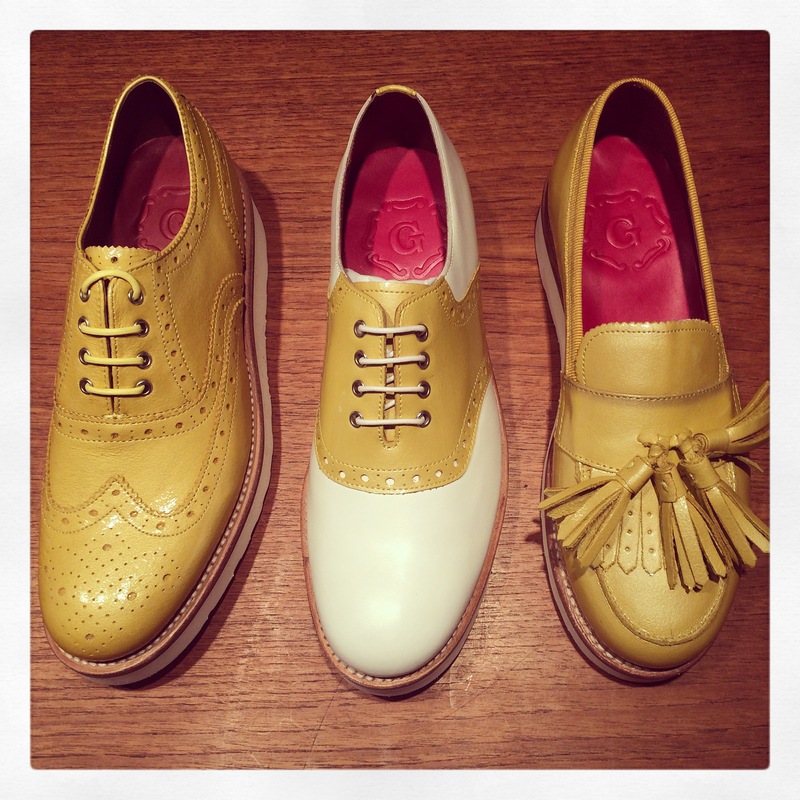 Grenson have made this style of shoe before – my second ever pair are these in yellow suede – but not with the kiltie. Funny thing is, I bought myself some yellow kilties to do a DIY version of this with but they got lost in the post. Still, I’m happy that me and Tim are on the same wavelength!! The welt is the bit that attaches the top of the shoe to the sole, and there is usually only one of them. The Grenson triple welt has three stepped welts giving a stacked, exaggerated effect. I love the summer colours of grey and white – the white ones would be great to wear to a wedding (even if you were the bride!). 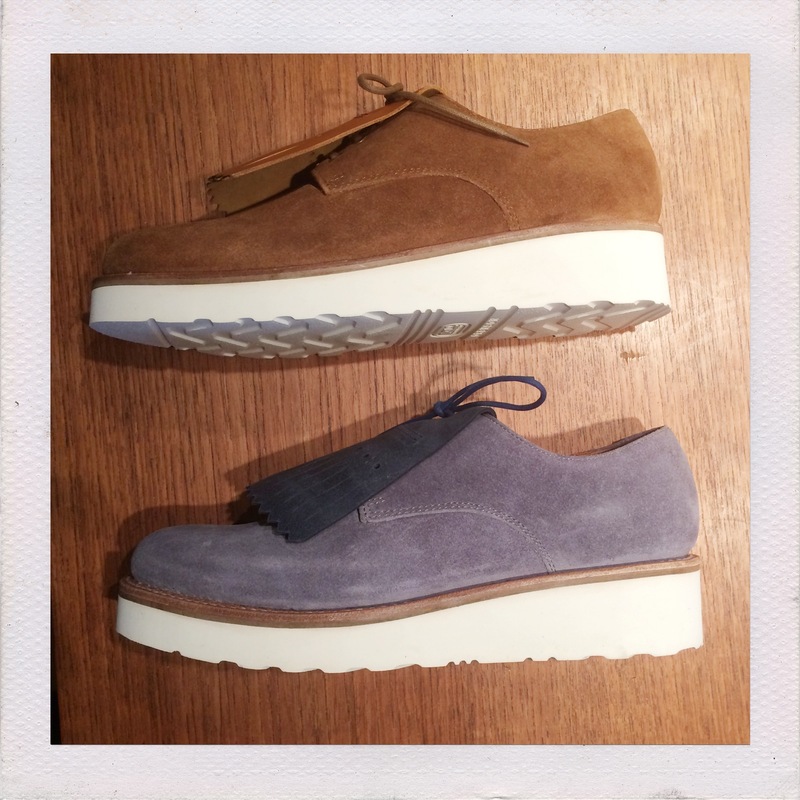 These are more subtle than some Grenson styles (though I am a big fan of those big white Vibram soles), and have the sole of the shoe dyed exactly the same colour as the rest of the shoe. 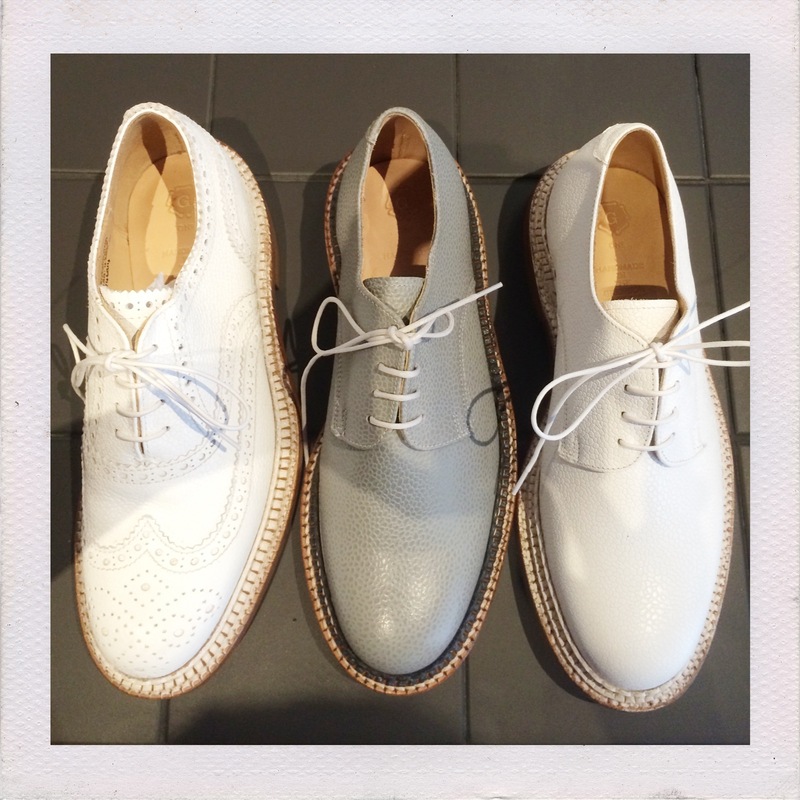 This picture doesn’t do them justice but they would make a brilliant everyday brogue. The grey ankle boots at the top make my heart sing a little bit! They are so simple – no laces or elastic gusset, just a zip – and the colour is gorgeous. 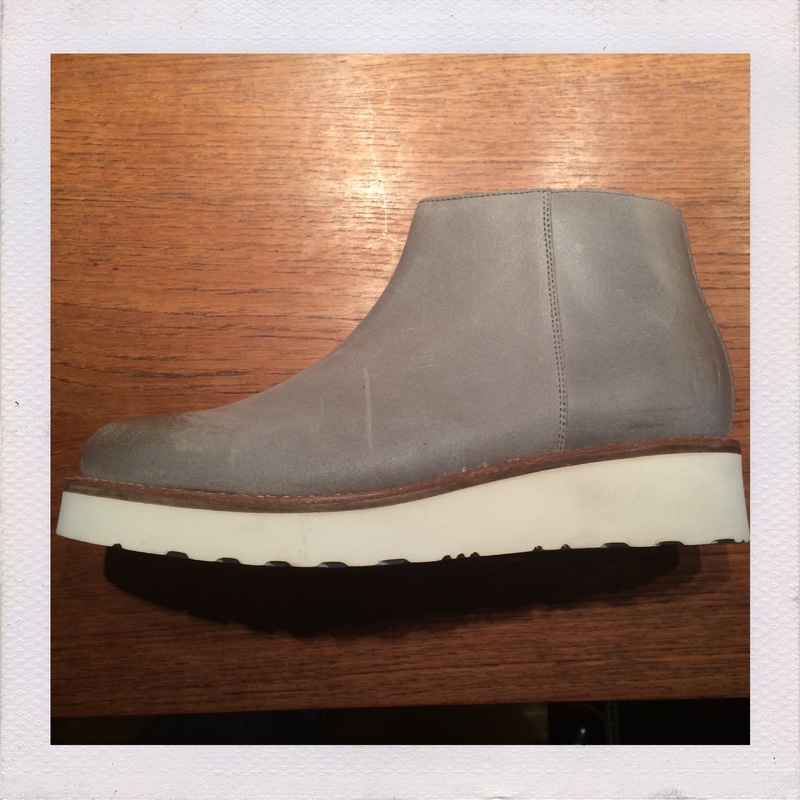 You don’t see enough grey ankle boots if you ask me. And having lived in my Lucy brogues since I got them last month, which are the shoe version of the black chukkas above with the black sole, I’m really happy to see the style extended to a boot. What are your favourite styles? I’d love to know – leave a comment below! The grey boots and the white brogues are fantastic. If I were getting married, those would look wonderful with a lacy, full-skirted tea-length dress. All are lovely. 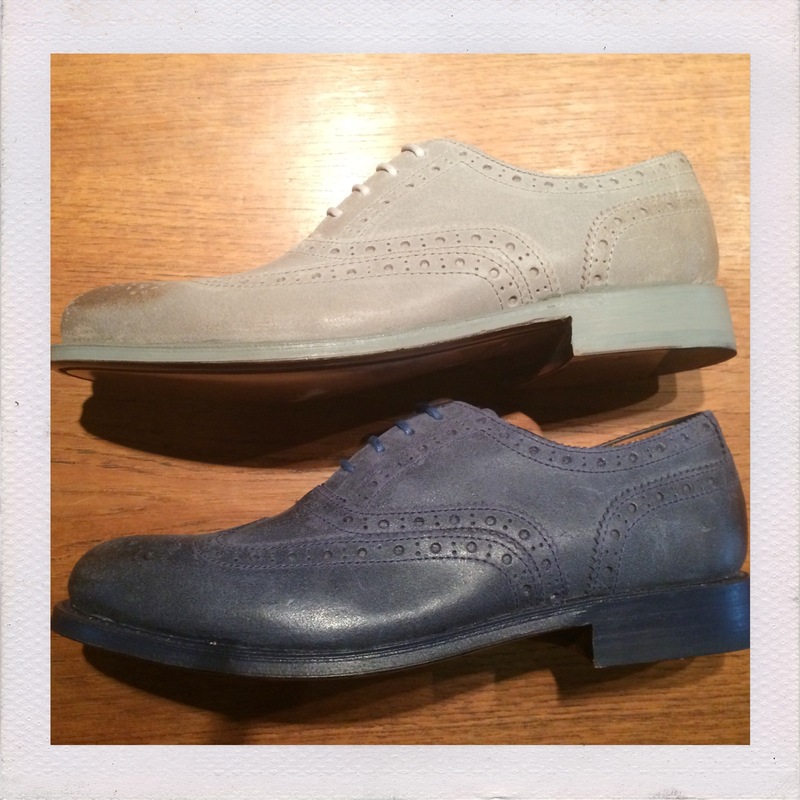 Rupert Sanderson sometimes does saddled oxfords for women (and for men, too). They are very comfortable and well made. Oh yes I love Rupert Sanderson. I have one pair and they are SO comfortable. I must get me some saddle shoes soon!! Hi Lynn! Sorry for the late reply. Yes Grenson do come up a little big. Some people go down 1/2 a size in them (although I don’t) so I imagine half a size too big will be too big! 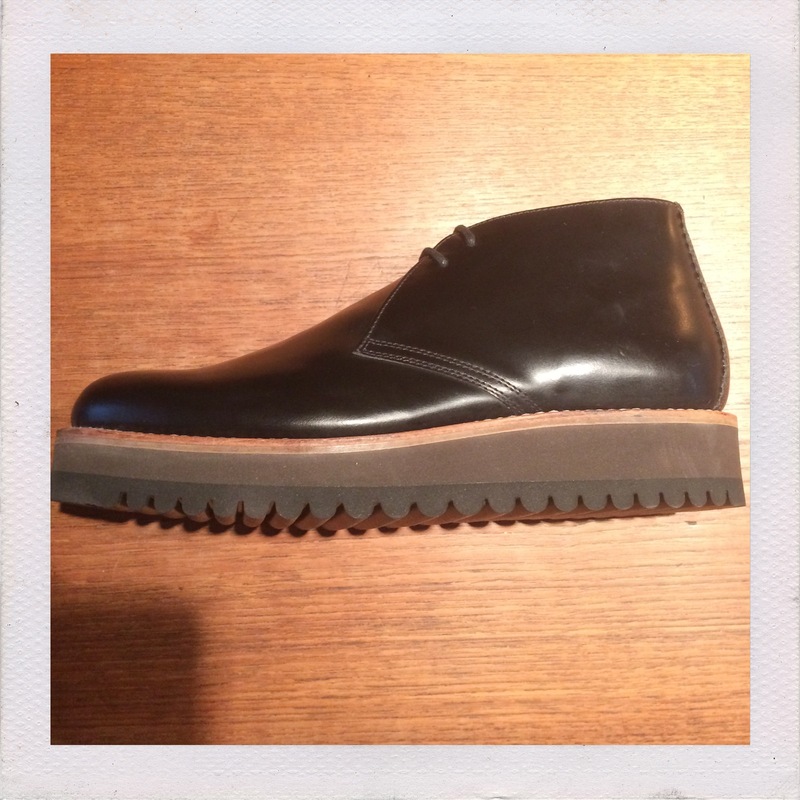 Have you tried other places that stocks Grenson? Like net-a-porter/shoescribe.com? Hi, thanks for the reply (not late at all). I’m normally a 6 so I’m going to try 5.5 – they should arrive Wednesday. Excited!